The call for the PfK MSc program is now open. 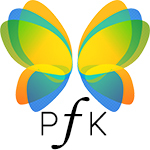 Applications for PfK scholarships must be submitted no later than 15 March 2019 at 12.00 pm, Italian time. Candidates are invited to carefully check the university website of their chosen program as the actual deadline may be set earlier. • Step 2 - Inform the Agency of your application by filling the AICS notification form in the selected platform page. Applications submitted to the university, which are not matched by the AICS notification form, will not be considered.